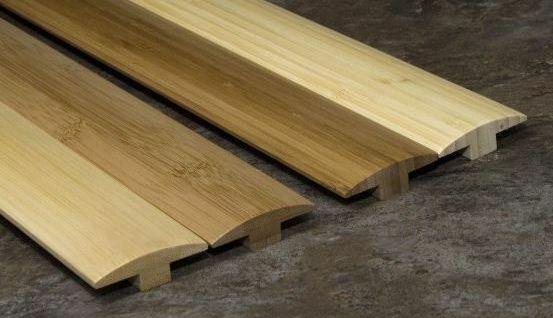 Bamboo T molding is most often used to transition from one flooring surface to another flooring surface of the same height, although they can also be used to transition between two floors if the floors are within 1/8" in height. 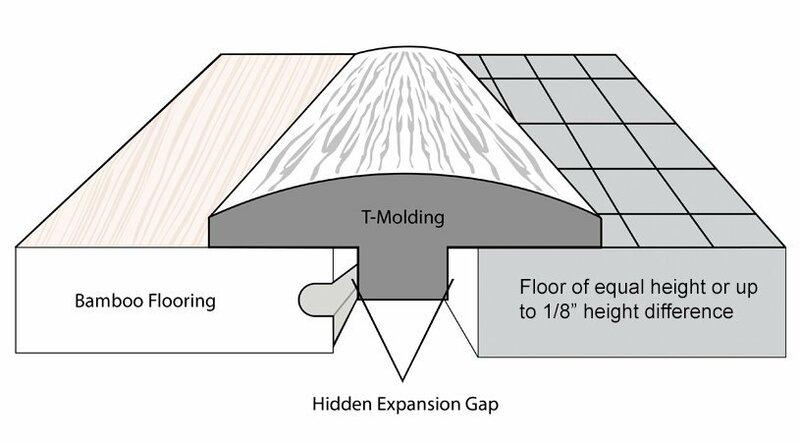 This molding is usually glued down to either one floor or both and is used to cover the expansion gap between the floors. You can browse and purchase bamboo t-moldings on our moldings category page.